Parent participation has been proven to be a huge indicator in the success of your student. That's why we here at Benton Harbor Area Schools want to encourage parent participation and give you the tools to help your child succeed. One of the tools available to you is the ability to check your child's grades online. We use a gradebook system called Powerschool that you can access by clicking on the Grades icon located at the bottom of this page. You will input your username, password and then use the drop down box to choose your child's school. In order to maintain your child's privacy, your username and password must be picked up in person at your child's school. You may pick up your letter with your username and password at the office of your child's school during regular school hours. You will need a username and password for each child you have enrolled in Benton Harbor Area Schools. If you have any questions regarding picking up your username and password, please contact the office at your child's school. Working together, we can achieve greatness for the children of Benton Harbor Area Schools. For instructions on how to use the Powerschool system to access your child's grades, please Click Here. 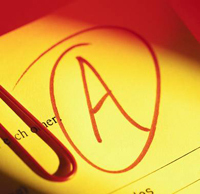 To login to view your child's grades, please Click Here.